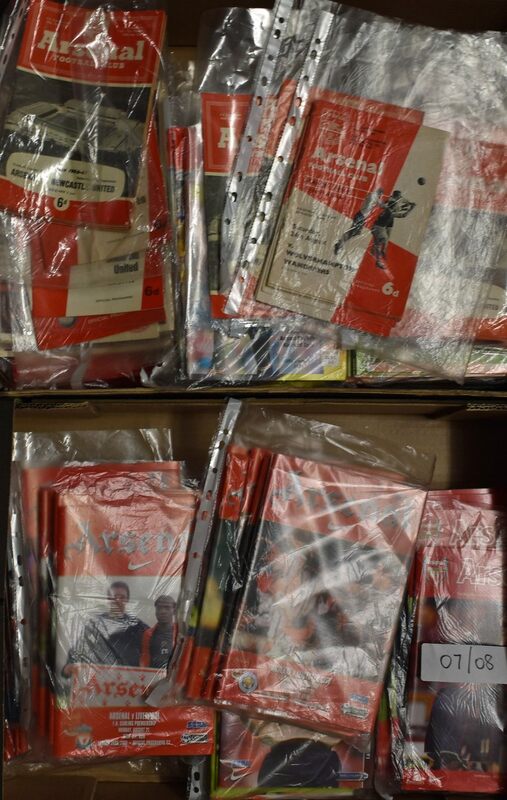 Collection of Arsenal home match programmes to include 1950’s (6), 1960’s (55), 1970’s (91), 1980’s (58), 1990’s (146), 2000’s (67). 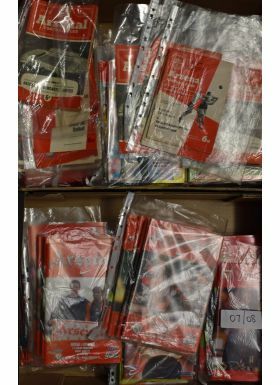 (Total 423 in 2 boxes). Good to very good, worth a view.